A Boca Raton-based landlord sued the developer of an apartment complex in Central Florida alleging that construction defects forced tenants to evacuate. Southstar Capital Group filed its lawsuit in the Ninth Judicial Circuit Court of Osceola County against Houston-based real estate firm Hines. Southstar acquired the 306-unit apartment complex from Hines in September 2016 for $67 million. Hines was the developer of the rental property, and its affiliate Urban Oaks Builders was the general contractor. The lawsuit against Hines also named Urban Oaks as a defendant. The lawsuit alleges that the defendants withheld, concealed and misrepresented construction defects at the apartment complex at 1662 Celebration Boulevard in Celebration, a master-planned community near Walt Disney World. Southstar claims that the alleged construction defects were undetectable in a normal inspection and became apparent in February 2017. According to the lawsuit, cantilevered corner balconies began to lean downward, cracking walls and breezeway surfaces, and the subsequent removal of layers of walls and floors revealed violations of the Florid Building Code. In August 2017, the Osceola Building Department issued notices of evacuation for all six buildings at the apartment complex, now known as Sola at Celebration. Hines originally had named the complex Aviva at Celebration. 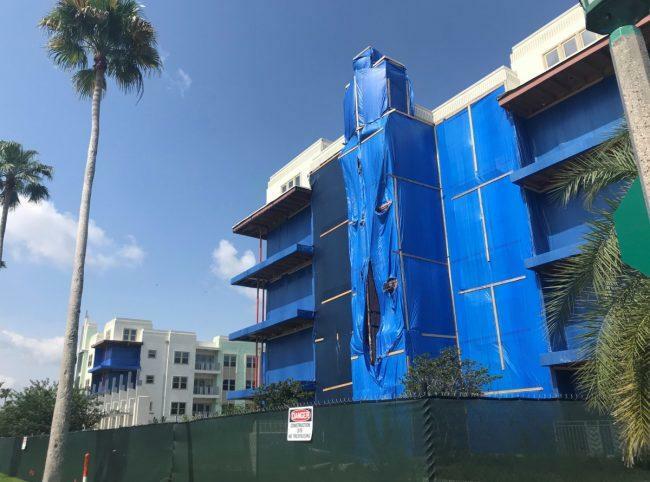 Among other construction defects, the rental property at 1662 Celebration Boulevard allegedly has improperly built structural components, framing not built according to plans, and roofs, balconies and windows that lack proper waterproofing.